Former Portuguese international, Rui Costa, said that he has never seen a Champion who is as hungry as Cristiano Ronaldo. Cristiano Ronaldo joined Juventus from Real Madrid last summer and he has been in a sensational form since then. The Portuguese international scored 19 goals in the league thus far this season, helping Juve maintain a healthy 15 points lead at the top of the Serie A table. 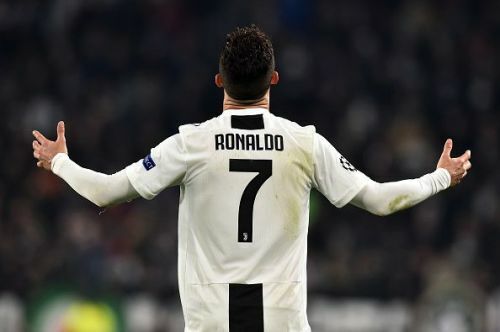 The 34-year old is in a fine goalscoring form in the Champions League as well and he guided Juventus to the quarter-finals of the tournament by scoring a brilliant hat-trick against Atletico Madrid in the second leg of the round-of-16 tie. On the other hand, Rui Costa played for Portugal between 1993-2004 and featured in the European Championship 2004 finals against Greece alongside Cristiano Ronaldo. Speaking to Tuttosport(via Goal.com), Rui Costa praised Cristiano Ronaldo by stating that his former teammate plays every game as if it is his last of the career. "How is he different? In the ambition. Never seen a champion more hungry than him. He lives every game as if it was the last of his career. With Cristiano I played the EUROs of 2004. Then he was a kid, but we were all old. We knew very well that he would become a Ballon d'Or winner." "An anecdote? Cristiano was a crazy dribbler and every training session he showed us incredible things, and always different, with the ball. "We almost never succeeded. Unfortunately, I did not have time to serve an assist to CR7." Juventus will host Empoli in the league next before playing Cagliari at the Sardegna Arena on April 3.